Maybe you can’t buy happiness, but you can buy a liftpass. As I type snow is falling, some of our crew got to the top of the Arare on their own two feet and rode back down. Which can only mean, winter is not only coming it has arrived. We are getting booked up nicely and looking forward too seeing you all again. As that time draws closer it comes a time to think about those necessary extras that are part of your ski holiday. 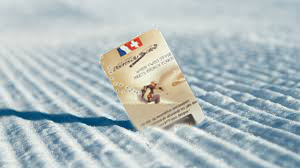 In this instance we can help a bit with an early bird offer for your liftpasses. Order a 6 day (or more) Portes du Soleil pass before the 1st of December 2017 and we will give you 10% off the normal price. Just email us at thechalet@mountainmavericks.com, let us know your first skiing day and how long you want it to last and we will have it waiting for you when you arrive. We won’t even want any payment for it until 2 weeks before you arrive. As an extra bonus for Christmas we are also offering to get a free kids PDS pass with every adult one purchased. Any dates up till the 29th December, for more than 5 days. Previous: Whats our weather is going to do this winter. Next: Flying from Southampton, great parking at East Midlands and take a bigger bag.